Autopart manufacturer Delphi Automotive PLC signed a commercial partnership agreement with Israel-based LiDAR startup Innoviz Technologies, the companies announced Friday. Based in Gillingham, in the U.K, Delphi also invested in Innoviz, the companies said. Light detection and ranging camera systems, LiDAR for short, send lasers to create 3D maps of objects around the camera. The current high-costs of such systems is a major challenge for self-driving car initiatives, said London-based market research company HIS Markit in a May 2017 report. 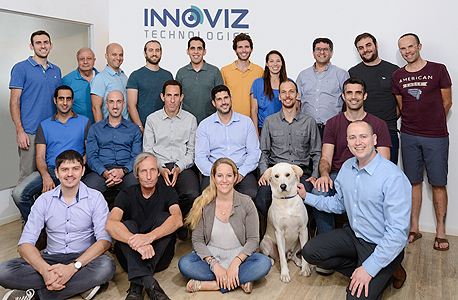 Founded in 2016 and headquartered in Kfar Saba, 9 miles north east of Tel-Aviv, Innoviz develops low-cost, small size LiDAR systems that enable autonomous cars to identify objects from a long distance. In December 2016 the startup announced a partnership with global autopart manufacturer Magna International Inc. In 2015 an autonomous car by Delphi completed the longest autonomous drive in North America. In December 2016 the company announced a partnership with Israel-based car technologies vendor Mobileye. On May 3, 2017, Delphi announced a plan to separate into two entities, to be completed by March 2018. One entity will continue Delphi's focus on internal combustion technologies. Called Powertrain, the second entity will focus on electrically powered cars and self-driving vehicles. “Along with radar and vision technology, LiDAR is an essential component to Delphi’s automated driving perception suite,” said Glen De Vos, Delphi's chief technology officer on Friday. The company is planning to integrate Innoviz's LiDAR products into Delphi's systems, it said in an announcement.